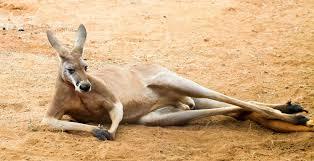 A kangaroo has been fighting for the right of animals to play football in Australia. The Australian national team are sitting at number 3 in their World Cup group, and can still advance depending on what happens in their upcoming match against Peru and France’s match against Denmark. Their presence in the finals should be seen as no small victory in itself, considering how hard it is for people in the country to play a game of football without being disturbed by rogue kangaroos, if a clip doing the rounds on YouTube is anything to go by. A football match between Australian teams Belconnen United and Canberra suffered an unusual delay on Sunday, when a kangaroo bounded on to the pitch. Despite his lack of respect for the game of football, the wayward marsupial is unlikely to see its day in kangaroo court. Belconnen United rose above the challenges of the day to win the match 2-0.